Place the sugar, vanilla, cream, chocolate and bourbon in a saucepan over medium heat and cook, stirring, for 3–4 minutes or until the chocolate is melted and the sauce is smooth. 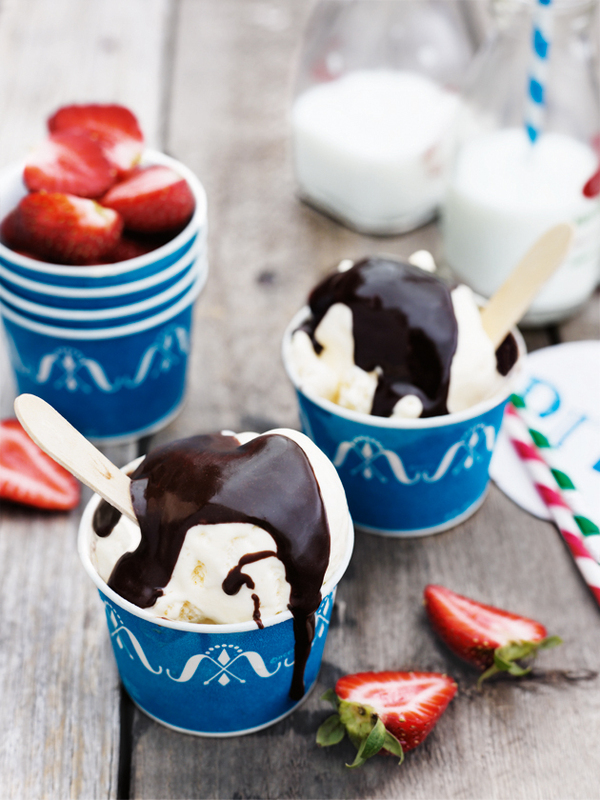 Drizzle the fudge sauce over ice-cream and top with strawberries to serve. Serves 4.